The Spenerhaus has an optimal connection to the local public transport services. 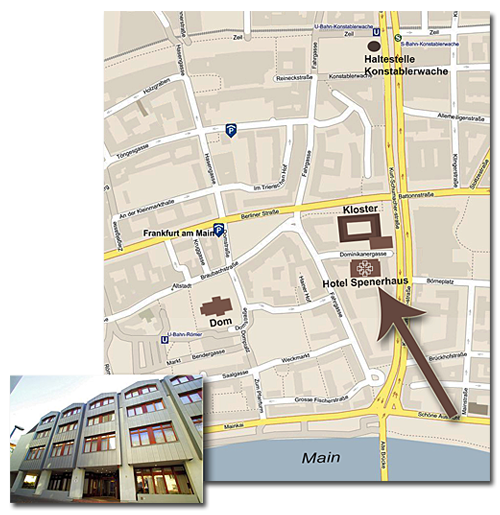 Stops (U- and S-Bahn Station Konstablerwache, bus and tram-station Börneplatz) are practically in front of our doors. Online -timetables of Frankfurt public transport can be consulted here: www.rmv.de. A limited amount of free underground parking spaces is available for our guests arriving by car. Please find out your journey details by checking the route planner. You can download a directions scetch here .